The Jats are divided into four main sub-castes – Fakirani Jats, Dhaneta Jats, Hajiyani Jats and Garasiya Jats. 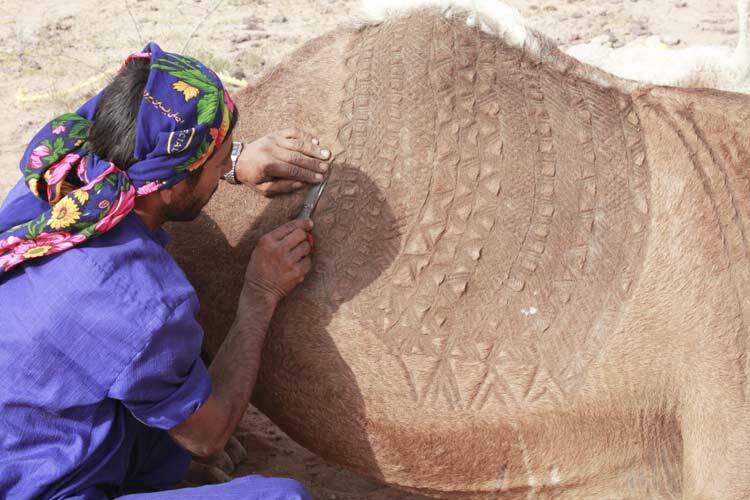 Out of these four communities, only the Fakirani and Hajiyani Jats are traditionally camel breeders. Both the Hajiyani and the Fakirani Jats follow the Aga Khan, their religious leader. Aga Khan is also the genealogist of both these sub-castes. 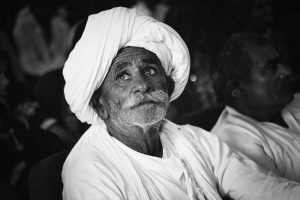 Forefathers of Jats came to Kachchh from Haleb in Baluchistan around 500 years ago. After traversing through the Sind, they chose to settle in Kachchh. Entering the region, some of the community members settled in the Banni region and started keeping cattle and buffalos. 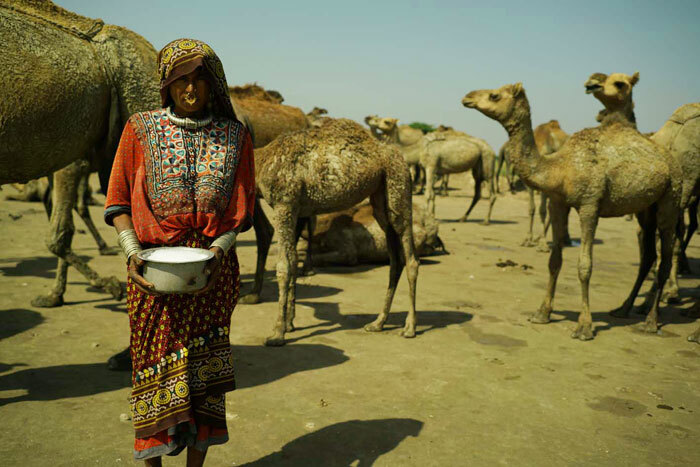 Some moved to other places in Kachchh and started keeping camels. Later, approximately before 250 years, in search of mangroves for grazing Kharai camels, some of their kinsmen left Kachchh and moved to the coastal areas of Gujarat, like Jamnagar, Bhavnagar, Khambhat (Anand), Jambusar (Vadodara), Dhandhuka (Ahmedabad) and Aliabet (Bharuch) and have since then settled there. They lead a nomadic lifestyle and are pastoralists by occupation. 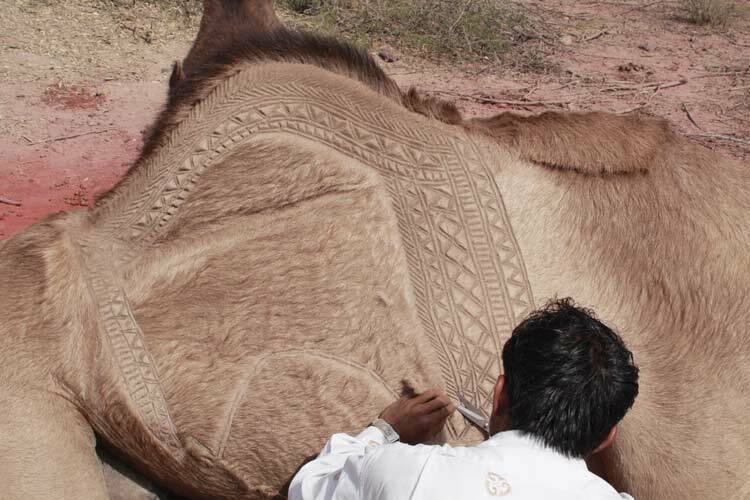 Though our herd has cattle, buffalos, sheep, and goats, we are customarily camel breeders. They are constantly on the move as we take our camels for grazing, within and outside the district. The Fakirani Jats move along with the families and women of this community play a very important role in camel breeding. 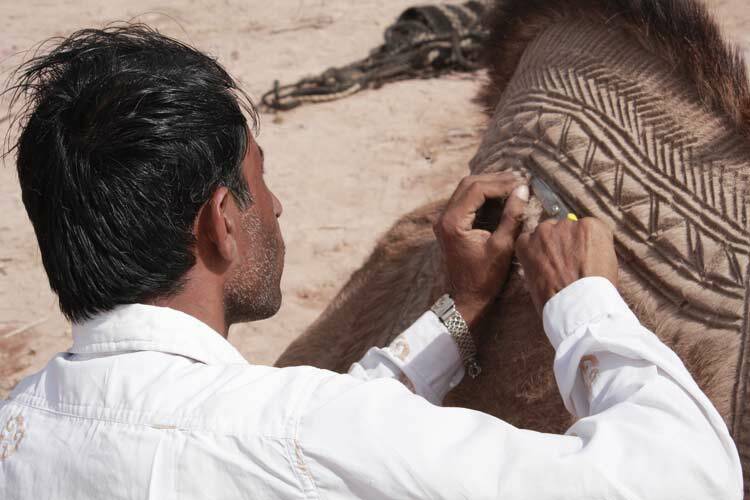 They take care of the newborn camels, and also bring grasses to feed the camels. Camel milk forms an important part of our diet as we mainly feed on camel milk and wheat bread or millet bread during migration. Tea also is a major component of our diet. The Jats, have their own traditional housing styles. 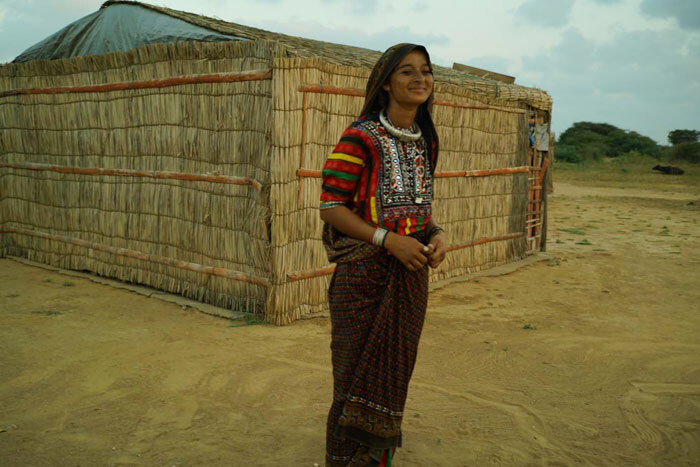 their traditional houses are called pakkhas. The pakkha is made of dry grass and wood. It is the duty of the women of the community to construct these houses. 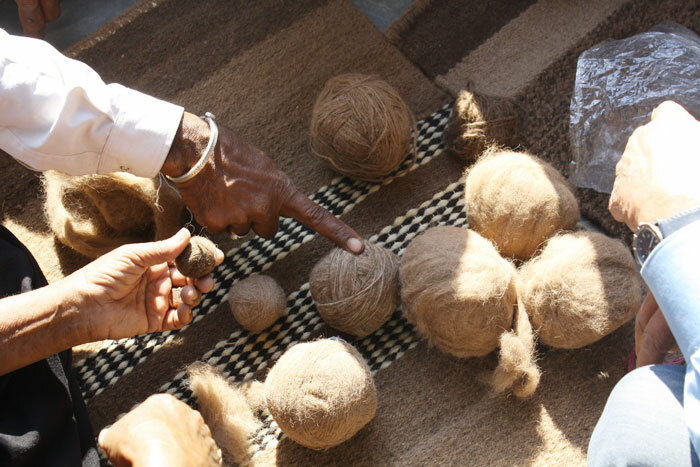 The raw materials used in construction are kal (dry grass), jute ropes and wood. 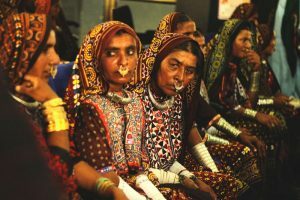 The pakkhas have to be reconstructed every one or two years depending upon the quality of the grasses. 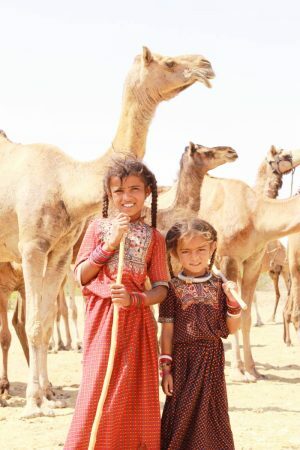 The Rabaris (also known as Raika and Desai) originally belong to the Jaisalmer area of Rajasthan. As per popular folklore, it is said that we had to abandon our homeland due to conflicts with the king there, and thus, they moved towards adjoining Gujarat. They have been migrating within Kachchh in search of grazing areas for camels, and have started leading a settled lifestyle only since last few years. 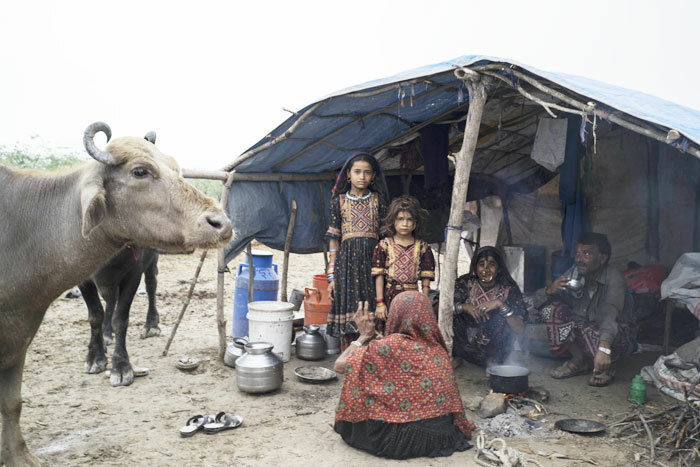 The Rabaris lead a semi-nomadic lifestyle. They migrate to various places with our camels but do not take our families along. Their women stay back in the villages. During traveling, they survive mainly on camel milk and rotlo (wheat or millet bread). We migrate within and outside the district for nearly 8 months in a year. The traditional dwellings of our Rabari community are known as bhungas. 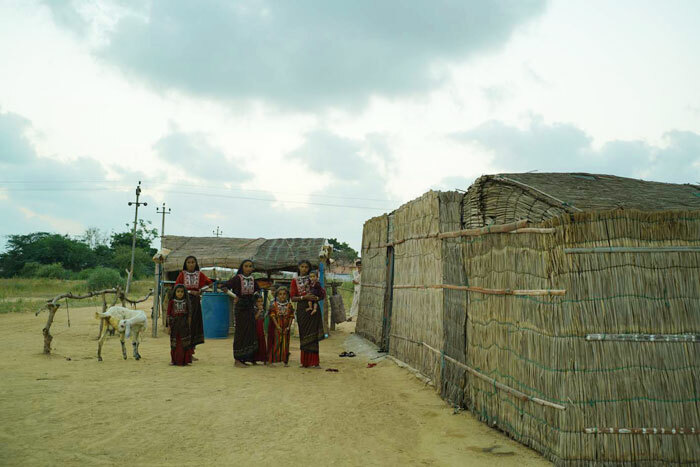 Bhungas are circular huts essentially made of mud, grass and wood. Once we clean the land required for housing, erect a wooden structure. 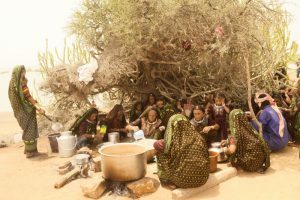 They use wood from the trees of mithi jar (S. Oleoidis), aankdo (Calotropis Procera), khari jar (Salvadora Persica), desi baval (Acacia Nilotica) or gando baval (Prosopis Juliflora), which are all locally available.